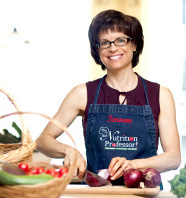 Timaree Hagenburger, R.D., is another in a growing number of doctors and health professionals endorsing and recommending The Plant-Based Journey to their clients and students. As a Registered Dietitian and Nutrition Professor, I am always looking for new ways to encourage, guide and inspire others to add more plants to their plates. 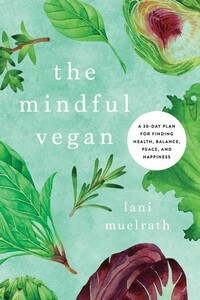 I was immediately drawn in by each chapter of The Plant-Based Journey, and found Lani Muelrath’s five stages, as well as the steps to transformation, extremely approachable and easy to explain. Become Aware, Set your Intention, Identify Micro-Changes and Practice… She has done such a wonderful job pulling readers in, as we easily identify with the different stages. Though we may not be progressing at the same rate, we experience similar successes and challenges and The Plant Based Journey is an unwavering companion, supporting us at every turn. I love the format, flow and tone of The Plant-Based Journey. The stages are so engaging, as each reader can relate, feel supported to move forward through the transition and experience an escalating array of benefits. 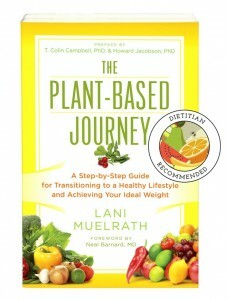 This book meets you where you are, affirms that you are on the right path, and recognizes that little decisions can make a big difference as whole food, plant-based eating becomes your “new normal.” The Plant-Based Journey is also a fun and entertaining read – something I value as a teacher – and is another reason I am so outspoken about The Plant-Based Journey as the definitive guide for transition to plant-based living for my students. Lani has achieved a great balance between providing practical strategies to implement right now, and the background knowledge to support the “why it will work”, all while weaving in client experiences and case studies. For all of these reasons and more, The Plant-Based Journey is now on the recommended reading list for my nutrition classes. I have a deep love for learning about and working with food, nutrition and behavior change, as a nutrition and wellness professional, interacting with patients, students, staff, and wellness clients and their families. When I began my career as a dietitian the hospital and ambulatory care clinics, I quickly grew frustrated with the lack of progress patients were making toward markedly improving their health. It always felt like they would take one step forward, during nutrition counseling sessions, and then two, or more, steps back, as they struggled with portion sizes, medication side effects and sustainable behavior change. Teaching nutrition at the college level afforded me more opportunities to help others find ways to realize better health, but the mantras, ”all foods can fit” and “everything in moderation,” that I learned going through school, just didn’t prove useful for inciting real and lasting results. Then, everything changed about 5 years ago, when I became acquainted with the plant-based movement through a cooking class at a local church. While it was the creative and intriguing recipes that grabbed my attention, when I began to learn about the incredible health benefits of adopting a whole food, plant-based eating pattern, this quickly became an ethical issue for me. 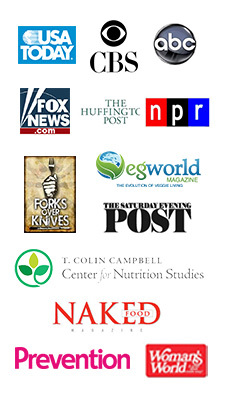 I had seen behind the curtain, and the only option was to go well beyond our standard textbooks in my classroom, and shed light on the huge amount of research that puts many of the conventional nutrition recommendations (e.g. focus on lean meats, include low/non-fat dairy) in the category of disease promoting, rather than health promoting. Through sharing the vital work of many of the plant-based leaders in the medical community, including Dr. Greger, Dr. McDougall, Dr. Campbell, Dr. Esselstyn, and Dr. Fuhrman, with passion and actually “walking the talk,” many close to me have transitioned to a fully plant-based way of eating, too – my husband, two children, parents, sister, brother-in-law, and their four children, our College Dean, several other colleagues and many, many students. I began offering PCRM’s 21 Day Kickstart as an extra credit option for my NUTRI 300 Nutrition classes several years ago and was shocked by the response. While I hoped that at least ten to fifteen students would participate, over 130 students jumped in during the first semester alone! The results they reported were even more impressive, including enhanced energy, improved stamina, quicker recovery in between workouts, and reductions in blood pressure, cholesterol and glucose levels. It is easy to see why many who embraced the transition, couldn’t imagine going back to eating in a way that they used to think was healthy. With the primary purpose of supporting our Kickstarters, a small group of students and I started our own chartered club on campus called Thrive On Plants (TOP). Our TOP club’s mission is to support greater wellness through whole food plant-based choices, joyful movement, mindful practices and lifelong learning, to fulfill our potential while celebrating life. Fortunately, I have had the consistent support of my colleagues. As I brought attention to the most healthful options available, I was delighted to discover they were easily within reach, no matter my students’ income level, cooking expertise or current taste preferences. My passion for sharing this wonderful information has only grown stronger, as it becomes more obvious each day that these options are not only advantageous for our personal health, but also for the planet. I am thrilled to share that we are achieving even more milestones in the Nutrition and Foods Department at Cosumnes River College. We are building a certificate program in Plant-Based Nutrition and Sustainable Agriculture. The hands-on curriculum will bring the content of a new Plant-Based Nutrition course to life with a course in Plant-Based Cooking and another in Sustainable Agriculture, taught by our Horticulture faculty. Students will learn to grow the most nutritious food, harnessing the best principles in sustainable agriculture, then enjoy harvesting the bounty and preparing it to optimize nutrient content, flavor, and pleasure! 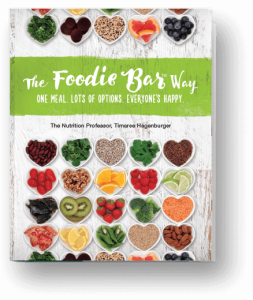 The Plant-Based Journey embraces the very tenets that I celebrate in my classroom, with our TOP Club, and in all of my interactions about food and nutrition, including my new cookbook The Foodie Bar Way. Everyone’s happy. Thriving on plant-based whole foods will do more for improving the quality of life than anything else, as you will have the energy and mental clarity to identify and take advantage of other opportunities to take wellness to the next level and help you become a better version of yourself each day. I can’t recommend The Plant-Based Journey more highly, as it is so approachable, practical and engaging, perfect for addressing the behavior change piece, so critical to long term success. It is on our nutrition courses recommended reading lists, and I only wish that I could gift a copy to each of my students who show interest in transitioning their way of eating! 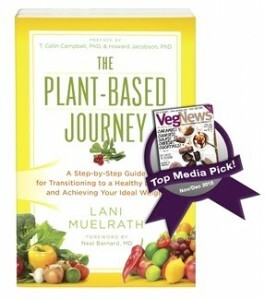 In the Champion stage, Lani’s “invites you to focus on fine-tuning the skills you’ve already put into practice” through a 10 Day Plant-Based Makeover. I did this with my parents several years ago, when they began the transition! We actually had a 10 day stint, during which we moved in with them and helped them transition their kitchen, pantry and favorite recipes. It was an immersion technique that worked wonders! We were able to look at it as a “stay-cation” adventure, and were excited to try new recipes and expand our taste palates. We experienced what you describe in The Plant-Based Journey, that 10 days was plenty (or should I say, PLANTY) of time to re-create taste preferences and build new favorite flavors. The analogy Lani makes about cart with two wheels that carry it forward, being physical activity and mental “mastery” and when one wheel is smaller than the others, the cart goes in circles – is just genius! More about Timaree Hagenburger, R.D. Timaree Hagenburger, is a registered dietitian and certified exercise physiologist with a master’s degree in public health. 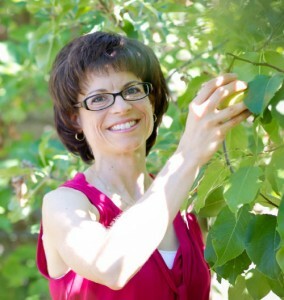 She is a nutrition professor at Cosumnes River College, conducts corporate wellness work, has a regular segment on California Bountiful TV, and is the author of a new cookbook – The Foodie BarTM Way: One meal. Lots of options. Everyone’s happy. If you missed any of her newspaper columns or TV appearances, you can find them at The Nutrition Professor. What a great story and wouldn’t it be good news if more schools offered courses like this? Ms. Hagenburger sounds like she is making such a difference. Maybe other teachers and colleges will hear about this and do the same thing? Thank you Lani for posting this story, every time we can talk about another health person promoting plant-based diet it helps. I’ve already linked this article out to several friends and on facebook. Sharon, I am glad you enjoyed the article and Timaree continues to astonish me with her productivity and impact. I’ve seen her with her students and they adore her! She has brought so many around to plant-based living, I know I can learn from her. And thank you Sharon for sharing! The best way to get word out is to do just that – please keep it up and thanks for being part of the TEAM! Excellent – yet not at all surprising. This is great news and your book should be a standard in nutrition classrooms everywhere! Nice article about Ms. Hagenburger too. Hi Tom, what a lovely comment and sentiment, thank you! All best to you and thanks for taking the time to share your thoughts. Lucky Central Valley folks will have an opportunity to meet up with the dynamic duo of Lani and Timaree in person at SacTown VegFest, Sacramento’s first 100% plant-based VegFest, hosted by the Sacramento Vegetarian Society on Jan. 30, 2016, 11 a.m. to 4 p.m. Details for this free event at the Serna Center, 5735 47th Ave., can be found on Facebook at: https://www.facebook.com/SacTownVegFest/. We’re so looking forward to Lani and Timaree’s engaging, inspiring presentations! Mary, so looking forward to SacTown Vegfest! See you soon!